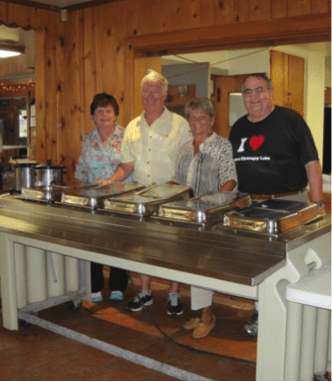 The Foundation’s annual dinner to benefit the Chateaugay Lake milfoil control project will be held on August 20th at the Lyon Mountain American Legion. Featuring baked lasagna with tossed salad, garlic bread and ice cream sundaes, it’s a good chance to get together with family and friends as summer draws to a close! Dinner will be served from 4 – 6:30 pm, with the prize drawing for the summer raffle at 6:00 pm. Cost is $10, 5-12 years $6, under 5 free.